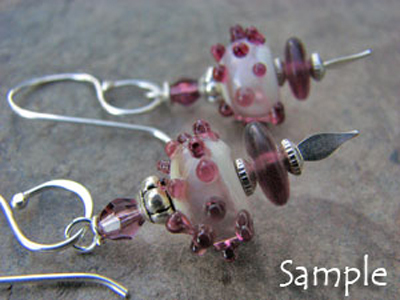 This month’s featured artist is Nancy Bariluk-Smith and her www.SpinningGlassStudio.com. I got to better know Nancy over a cup of tea at a small, informal gathering of women artists at the end of a show this last year. The event turned into a lovely communal sharing of the joys and frustrations we have as artists of different mediums. Nancy impressed me then and now. Her humor combined with insightful comments made me want to learn from her extensive and varied experience as an artist and person. I have learned even more about her through her website. She is open, sensitive, introspective, philosophical and delightful. It is clear that she is a seasoned artist of different mediums. 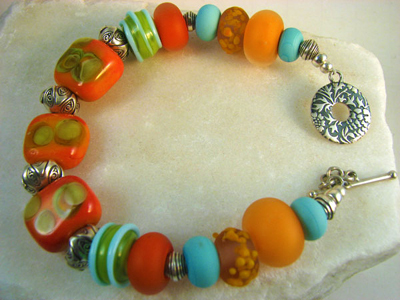 Despite her preference for doing lampwork glass beads and jewelry, art is an expression of her total person. Her beadwork is unique, beautiful, one-of-a-kind, and imaginative sculptured art. Whether worn as focal pendants or complimentary bracelets and earrings, they will catch the eye of the most discerning. Each is an artistic masterpiece. 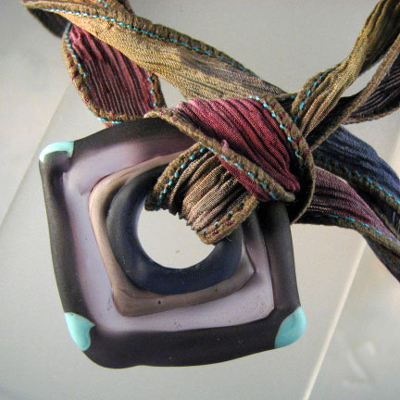 Her former talents as a textile artist have not been left behind in her jewelry. 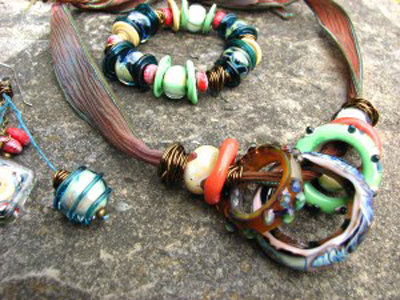 Using hand dyed ribbons, waxed linens, threads and cords, she combines whatever compliments her exquisite beads. I am struck with her free-flowing color pallets, and limitless imagination. They indeed reflect what Nancy is about, a beautiful artist that reflects the beauty surrounding her. Don’t miss checking out her website. She has some wonderfully fun and creative offers, like her Earring- of- the- Month-Club, and by simply leaving a comment on her website November 1st, 2nd or 3rd you are registering to win The Great Common Thread Give-Away for the month of November, a sample of her jewelry! 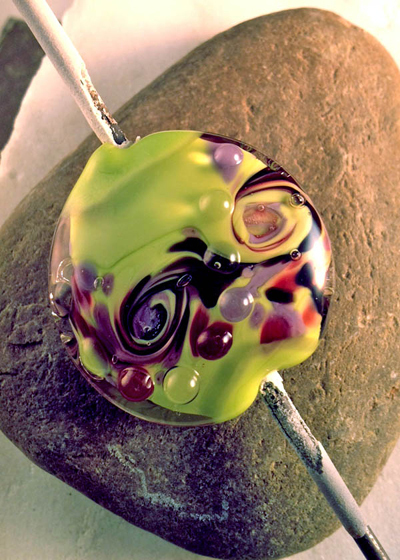 Treat yourself to a visit to her website by simply clicking on the link to her Spinning Glass Studio and hope you win this month’s free give-away and better get to know Nancy and her work!